Your VP and sales manager have been hyping up your sales kickoff (SKO) for weeks. You can tell that they’ve actually convinced themselves that this year’s sales kickoff agenda is going to be different. “Could this SKO be different? Have we crossed into a parallel universe where the sales kickoff agenda is actually engaging, relevant and uplifting? Then about three hours in, you hit the dreaded SKO wall. The words, “prospects”, “pipeline” and “profits” all start sounding the same. The guest speaker is uninteresting. The marketing update is irrelevant. Try as you might, you can’t stop thinking about your deals that are being neglected, how your fantasy football team is doing & how many ‘likes’ your sunset post is getting on Instagram. You look around and your whole team’s eyes are more glazed than a Tim Horton’s donut. Can you blame them?! It takes a lot of willpower to stay 100% focused on one single task at hand for hours. Willpower is finite. Some sales kickoffs can feel infinite. Here are some fun ways to update your sales kickoff agenda to keep your team motivated and on the edge of their seats. We know that a good “rap battle” can get the people going, so why not try an “objection battle”? Break your reps into two teams. Team One goes first and calls on a player from Team Two to step up and answer a common objection. If answered correctly, then that player from Team Two can call out a player from Team one and ask them to respond to a common objection. Repeat until one team is stumped. Bonus points for any rhyming! Of course, the real bonus is the whole team hearing how everyone handles each objection. Being able to rattle off your battle card stats are key in every stage of the deal, and an SKO is a great way to democratize that knowledge throughout the entire sales team. But a formal competitive review is not a great way to help reps retain that knowledge. Get your revenue team into a circle and name a competitor of yours. Now go around the circle in order, and each person has to state a reason why your product/service is better than that specific competitor’s. If anyone can’t answer, or gives an irrelevant answer, they are eliminated and you move on to the next person. Keep this going until you crown a “competition king/queen”. If you have more than one competitor, you can play multiple rounds. Note: make sure you keep track of who wins each round. You can ask that person to host a “lunch and learn” on that specific competitor for the whole team at a later date. The after-lunch slump is even worse when you feel stuck, or you’re already bored. So if it’s natural to feel a little drained, why try to power through it? Embrace it! Take an hour after lunch to do a very low impact activity that requires little to no brain power. My suggestion would be to have your team do a 40-minute yoga session followed by a 20-minute guided meditation. This should refill their tanks, have them alert and ready to crush the next exercise. Simon Sinek has beat this drum almost to death, but there’s still a lot of merit in each team member understanding their ‘why’ – the reason they do what they do. 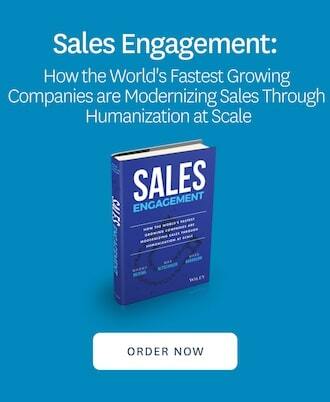 I’ve seen this work wonders for sales organizations, setting the tone for the upcoming year, and motivating sales reps in new ways. Rather than just ram your company mission down their throats, ask each individual to share why they show up to work every day. Once everyone shares, find the commonalities throughout the group, keeping track on a whiteboard or a screen everyone can see. Then, come up with a group mission statement that is unique to your sales department that still fits within the broader company mission. Keep that mission statement visible in the office, so the feeling of purpose lasts. If you’re not familiar with the Pomodoro technique, I recommend checking it out here. I personally structure my whole day this way. Essentially, the premise is that humans can’t concentrate at full capacity for more than 25 mins at a time. After that, they need a very short break (think a quick stretch, a walk to the end of the office, or cranking up their favorite playlist). You can build this technique into your SKO agenda, so you’re not fighting biology too much. This will prevent people from spacing out, and as a nice side-effect, your team will get to know each other better with every question! So you get a pen, and… Just Kidding! Thank goodness the 80’s are well behind us and hopefully that statement will only continue to live on in Scorsese’s “Wolf of Wall Street”. However, there is something to be said about working on your sales acumen without focusing on the same old product/service that they sell each and every day. Ask each rep to “Sell me your favorite activity/hobby/thing”. Give everyone 10 minutes to prepare and then 5 minutes present in front of the group. Ask the group if, based on their argument, they would “buy” that activity/hobby/thing. Whoever gets the most votes wins a Friday afternoon off! Remember, the whole goal of a successful sales kickoff is that your team leaves excited, engaged, and fully prepared to take their game to the next level. None of that can happen if they’re nodding off, or they forget what was said. Hopefully, by adding a few (or all) of these games/suggestions, you’ll help them stay attentive and retain more. Sales kickoffs are such a rare opportunity to transfer knowledge and build a winning culture. Because they set the tone for the entire team’s efforts, they’re arguably the most important meeting of the year! Don’t overlook the importance of planning an unforgettable event. Let’s bring the SKO energy into 2019! Scott Barker is the Head of Partnerships and Revenue at Sales Hacker. He is passionate about building and strengthening authentic relationships with his team and partners. Outside of Sales Hacker, he helps bring Vancouver sales professionals together to share ideas, network with peers, and learn from top sales operators & leaders as GM of Vancouver Enterprise Sales Forum.